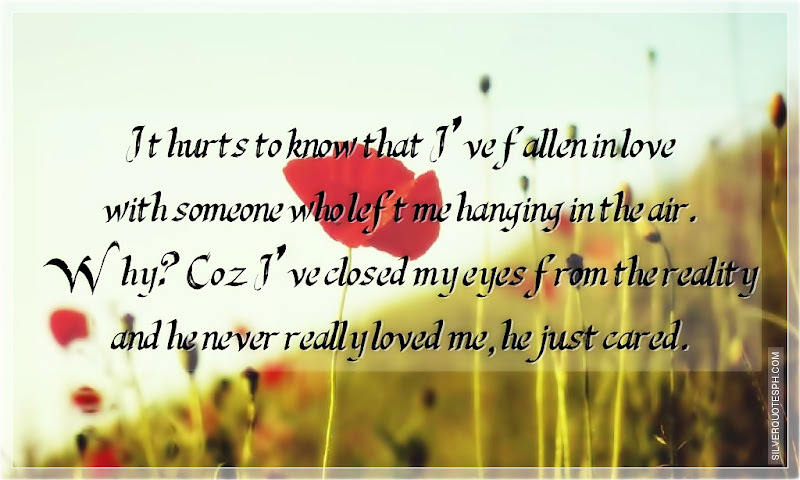 It hurts to know that I've fallen in love with someone who left me hanging in the air. Why? Coz I've closed my eyes from the reality and he never really loved me, he just cared.